One of my favourite pastimes in the world is shopping; and whenever I am travelling for a fashion week, I always make time to visit boutiques that I've heard of or been recommended. It's a great way to see designers off the catwalk! The Address Idea:My first stop was The Address Idea– an amazing boutique run by Eugenio Bramerini– an eccentric Italian with a passion for vintage and motorbikes.The collection is an eclectic mix of menswearand womenswear, with labels such as Jeffrey Campbell, Deus Ex Machina,Simmons Bilt Clothing, Obag;as well asa seriously well curated selection of vintage wear which was all in seriously good condition. The excellent range of vintage leathers, helmets, pants, boots and accessories was complemented by some rather cool black studded wellies. Czech labels & friends:This small boutique is not large but its airy; and in my opinion anyone that carries Melissa shoes just has to be cool. The store carries Czech designers such as the ever popular Laformela and Odivi who both showed at MBPFW. LAgalleryNovesta:This is what a proper boutique should look like. The owner runs her business with great enthusiasm and the staff are all eager to impart their extensive knowledge about the designers that they stock, including Czech designers like Jakub Polanka (who I love), and more experimental, emerging names and a full range of Slovakian sneaker label Novesta. 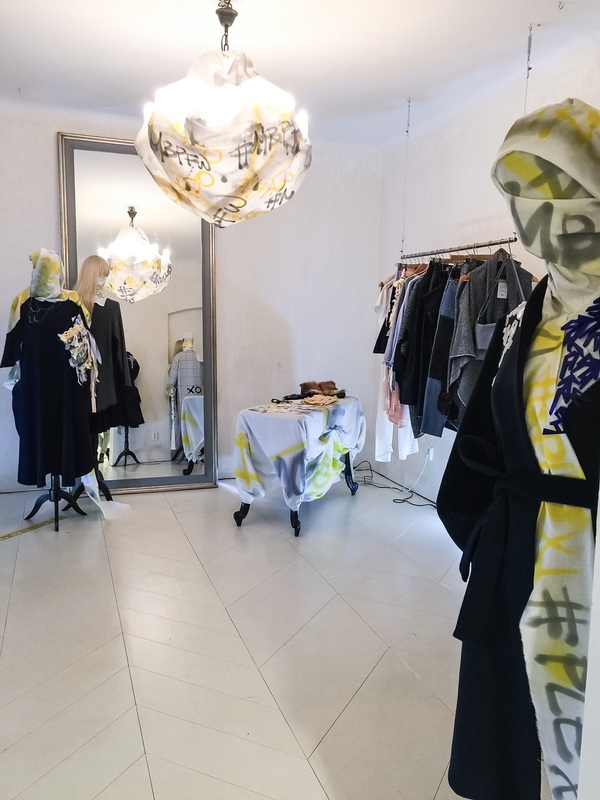 In celebration of Fashion Week, the shop had completely changed one of the rooms, dedicating it to young emerging designers such as Lukas Krnac and Barbara Mrnkavo among others. I was given a personal tour and a detailed explanation of each label. That's what I call SERVICE!